A host of amenities and conveniences are available at our apartments in University City. 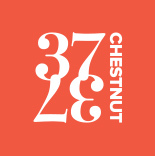 Designed to help you make the most of every moment, even if you're just sitting back and relaxing, 3737 Chestnut has what you deserve in your next home. You will find upgraded features in all of our 1- and 2-bedroom Philadelphia apartments, and furnished corporate options are available too.